PLYMOUTH Studio School’s Kerenza Bryson finished eighth overall and top British athlete at the season-opening Hungarian Indoor Competition in Budapest. The competition was held over two days and featured many big name athletes, including 2016 women’s world champion Sarolta Kovacs. The event started with the riding discipline and 18-year-old Bryson made a solid start with 264 points. She then came into her own in the fencing, recording 25 victories – two more than anyone else – and suffering just seven defeats. On the second day of the competition, Bryson recorded a time of 2:20.63 for the 200m swim, which meant she headed into the final combined laser-run discipline in sixth place. Despite some strong shooter, Bryson did drop down to eighth, but it was still an impressive finish at a top senior international event. 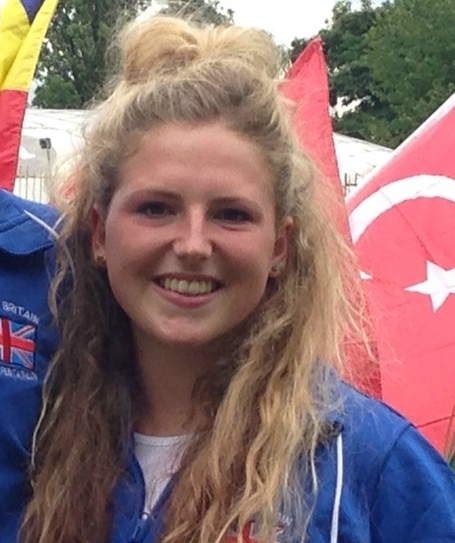 Her GB team-mates Charlie Follett, Georgia Hannam and Georgia Pipes finished 11th, 21st and 31st respectively.